Home » House » No Bad Stuff Today…But STAY VIGILANT! The House debated a number of bills today, two of which have an impact on public schools. House Bill 2532 adds financial literacy to the Rose Standards. 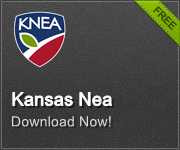 KNEA supported the bill in committee. It was amended on the floor on a motion of Rep. Sue Boldra (R-Hays) to put specific mentions of mathematics and science in the Rose standards. The Boldra amendment was adopted on a voice vote. Rep. John Alcala (D-Topeka) moved to amend the bill by adding in his ethnic studies bill but not in the same form it came out of committee. The Committee had changed the bill so that it could not teach social justice remedies. The Alcala amendment allows this. The amendment was adopted on a division vote of 70 to 51. But when the bill came up on final action, it was defeated on a vote of 43 to 81. The second education related bill was HB 2578 which allows chiropractors to clear a sports team member to play following a head injury. Much of the debate on the bill focused on chiropractors versus physicians. Some from Western Kansas had argued that it was often very difficult to find a physician to examine the player and make a decision. The bill was passed on a vote of 73 to 51. The House was finished shortly after 2:00 today and will reconvene tomorrow at 9:00 am when they will debate 17 bills. No education bills are on the debate agenda for tomorrow. The bills that we are following most closely have not yet passed but the session is far from over. Bills on tuition tax credits – the voucher bills – HB 2174 and HB 2457 are not scheduled for debate nor is the common core bill, Sub for HB 2292. The bill repealing due process for community and technical college instructors will not be debated tomorrow but has been referred to a time-exempt committee and so could be brought up for a vote any time after the break. We will know more about the status of these and other bills at the end of the session mid-point tomorrow. Senate Going Long; 35 Bills Today! The Senate put 35 bills up for debate today and they are still going on as we write today’s edition. Of interest to educators is SB 342, a bill tightening up online privacy requirements for software companies that provide resources to schools. Assuming the Senate completes all of this today, they will still have 10 bills to debate tomorrow, none of which are education bills. Half Way Point – What About the Bad Stuff? Upon adjournment tomorrow, we will be half way through the 2016 session. The second half will be hard. School finance is not finished and so far there are no responses to the Supreme Court’s decision on equity in Gannon. Many negative education bills are still around. If we’ve learned anything over the years, it is that no bad ideas ever go away. We must never forget April of 2014 when anti-education legislators brought forth all the terrible ideas that had not passed a committee and made them floor amendments to the budget. Those legislators waging a war on public service and public education are determined. Those of us who value public education must be just as determined. All of us must stay vigilant through the session and into the election cycle. Your job back home is to use every opportunity to meet with legislators – at forums, in your communities, in the supermarket – and make your voice heard. Your other job is to continue to work with parents, civic organizations, and all of your colleagues to get them engaged in this effort. Read and share Under the Dome – www.underthedomeks.org. Send your friends and neighbors to www.Joinusks.org to sign up for alerts and information. Tune in to www.ksEdTalk.org and listen to our monthly education podcast featuring teachers, parents, school board members, and legislators.